New Bavarian flagship rolls back its top. 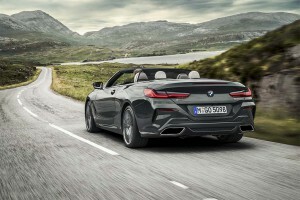 BMW's got a replacement for the 6-Series convertible with the new 850i for 2019. We’ve been seeing some leaked images in recent days, but now we can offer you an official first look at BMW’s new flagship convertible. There were more than a few folks disappointed to learn that the 6-Series Cabriolet was going away. But if you have the budget, it’s going to be difficult to complain about the new 850i ragtop. Oh, and yes, it skips the hardtop approach taken by some premium convertibles in favor of a more traditional cloth top. Set to make its official debut later this month at the Los Angeles Auto Show, the sleek new cabrio has a lot in common, as you’d likely expect, with the coupe version of the 8-Series that made its formal debut early in October at the Paris Motor Show. The basic 8-Series design was, in fact, first telegraphed in concept form during the 2017 Concorsa Villa d’Este along Italy’s tony Lake Como. And it signals a more sensuous design language that will influence the Bavarian brand’s entire line-up. The new BMW 850i will make its official debut at the Los Angeles International Auto Show later this month. It features a more sculptured exterior, with muscular hood bulges, and the lower and wider take on the classic BMW double-kidney grilles now has a crease that folds into that hood, all but completely hiding the normal shut lines. The lower air intake is framed by twin scoops that help feed in cooling air. They also hide the intakes for the now-requisite air curtains that reduce turbulence around the front wheels. The cabrio all but perfectly retains the long, sweptback rooflines of the coupe, and it maintains the high decklid with its rounded and integrated spoiler. Twin parallelogram chrome surrounds barely conceal the car’s exhaust pipes. Lamps, both front and back, are LED and narrow into slits. The interior will feel familiar to BMW aficionados, especially those who’ve spent time in the brand’s sedan flagship, the 7-Series. It’s evolutionary, rather than revolutionary, though there are a handful of notable updates, including slim climate control vents. The steering wheel, meanwhile, is fatter and sportier, reflecting the more athletic nature of the 8-Series. The interior top on the new 850i can be raised or lowered at 30 mph and in about 15 seconds. And, of course, there are plenty of standard high-tech features, including active cruise control, active parking, heads-up display and the latest version of the BMW infotainment system dubbed “Live Cockpit Professional. This includes a 10.25-inch screen and integrates both Amazon Alexa and Google Assistant, while retaining the familiar iDrive control – albeit in its latest form. The gauge cluster is a 12.3-inch reconfigurable display. There are plenty of advanced driver assistance systems, from the latest Back-Up Assistant to the Personal Co-Pilot that allows a motorist to drive virtually hands-free in heavy traffic. 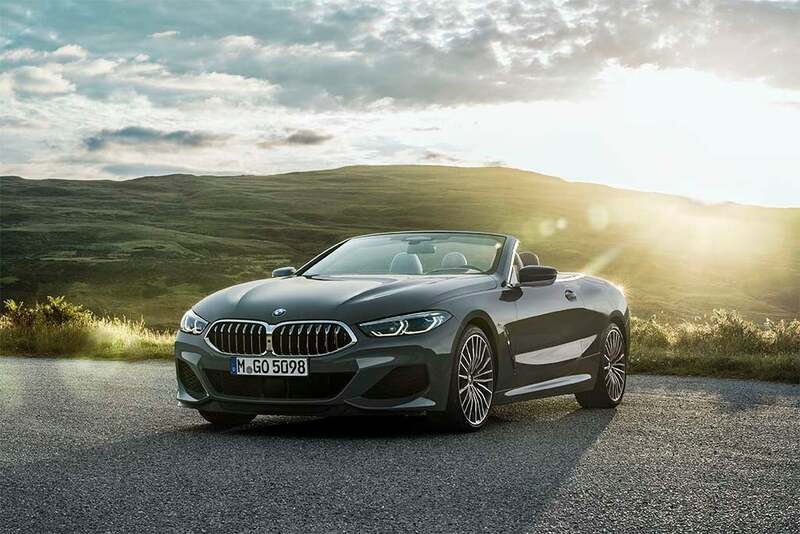 For U.S. drivers, the 850i xDrive Convertible will be powered by a 4.4-liter twin-turbo V-8 making 523 horsepower and 553 pound-feet of torque. 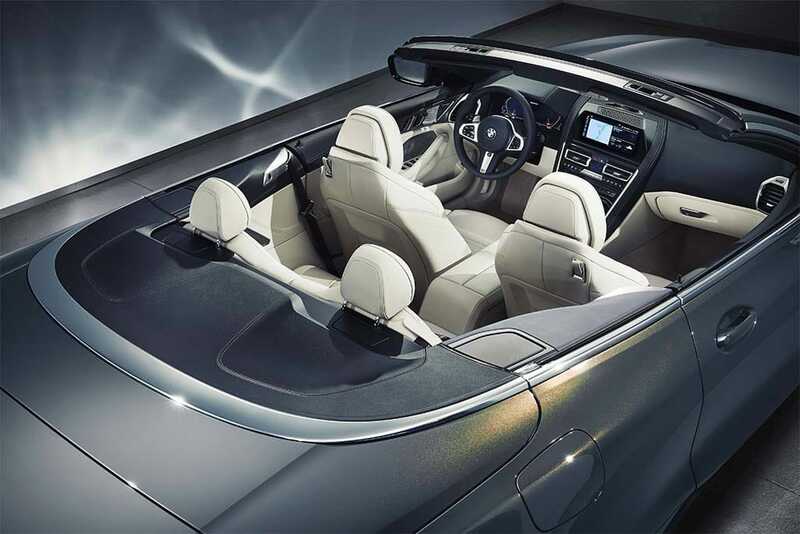 It will motivate the cabrio from 0 to 60 in just 3.8 seconds, with a top speed of 155 mph. Oh, and talking about fast, the top on the convertible can be raised or lowered in a mere 15 seconds, and at speeds of up to 30 mph. Other features include active roll stabilization, an option that uses electric swivel motors on the front and rear anti-roll bars to keep the car running flat even while cornering aggressively. 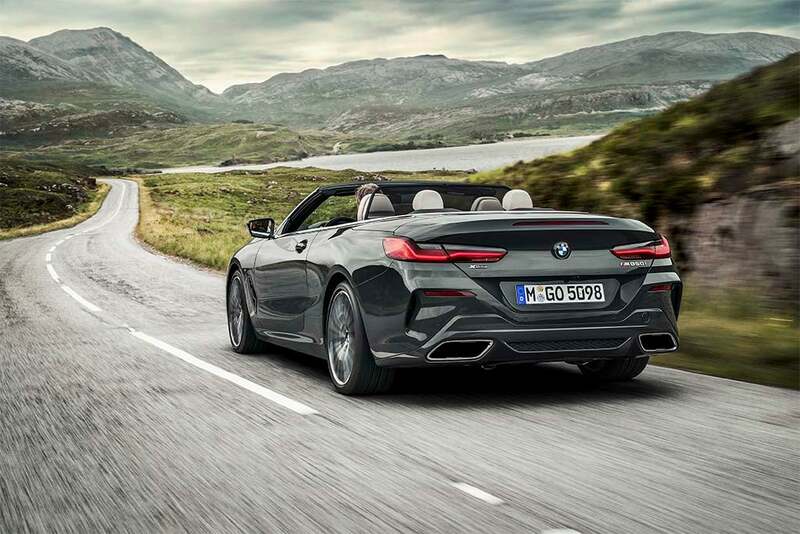 Meanwhile the new BMW 8-Series Convertible come standard with an Adaptive M suspension with electronically controlled dampers. Look for the new ragtop to roll into U.S. showrooms next March, at a starting price of $121,400 plus $995 in delivery fees. This entry was posted on Thursday, November 1st, 2018 at and is filed under Asia Pacific, Automakers, Automobiles, BMW, Business, China, Europe, Executives, Luxury Vehicles, Markets, NAFTA, Personalities, Sales, Sales, Sedans, South America, Trends, U.S./North America. You can follow any responses to this entry through the RSS 2.0 feed. Both comments and pings are currently closed.